The Osprey Daylite Daypack could be your next favorite travel bag. If you are looking for a great travel backpack, then we have got what could be e the best pick for you. The Osprey Daylite Daypack is a fan favorite of so many travelers. There are so many reasons the Osprey Daylite Daypack is one of the best bags on the market. From its design to its durability and everything in between, this bag has so much going for it. Today, we are going to go into an in depth review of what makes this one of the best travel backpacks on the market right now. Let's get started on why this is one of the best travel backpacks to travel with. When it comes to the travel world, the popular brand Osprey has undoubtedly made a name for itself. Along with that, when travelers look at the wide range of products that Osprey has to offer, it is no wonder why. The vision and mission set forth by Osprey's founder, Mike Pfotenhauer have resonated with a wide range of travelers. This mission and vision have enabled Osprey to put forth only some of the best travel gear any outdoor enthusiasts with love. Osprey was first established in 1974. Since then, it has been giving travelers a leg up in their outdoor adventures. What makes Osprey such a great brand is the fact that they have been able to adapt to the changing needs of travelers over the years. One of the highlighting traits of Osprey is the fact that they are able to create innovative designs that feature intuitive features. This close attention to detail is another contributing factor for Osprey's ability to thrive. 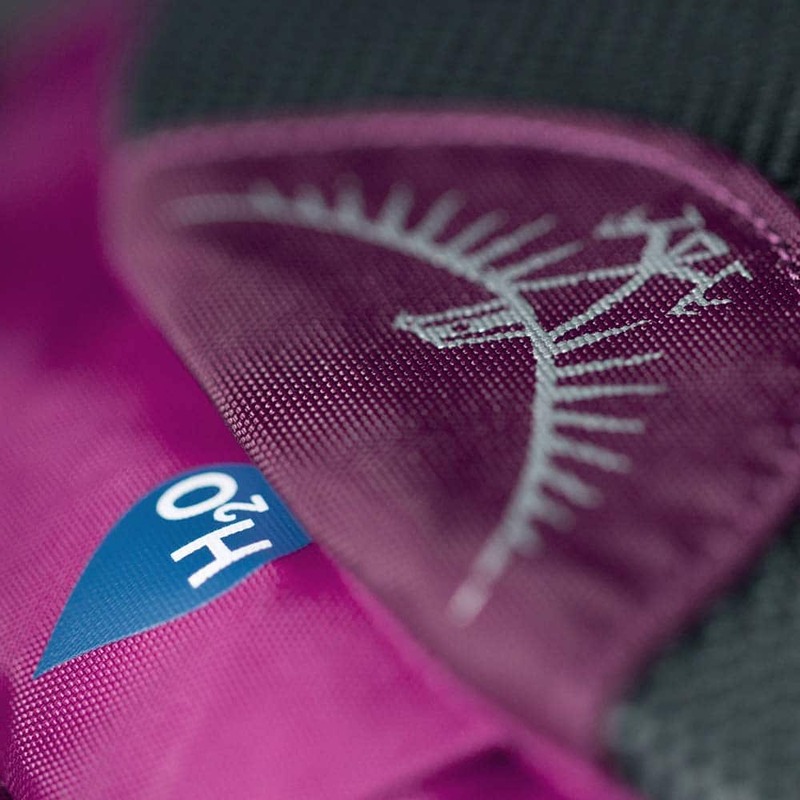 One of their leading products is the range of daypacks that Osprey has to offer. Their daypacks allow travelers to bring along with them any and everything they would need on their adventures. Not only that, but travelers can customize the backpacks that Osprey sets out so that they are perfect for their individual needs. Today, we are going to look at one such daypack. The Osprey Daylite Daypack is a great choice for travelers for so many reasons. However, one of the highlighted features of the daypack is the fact that it is so versatile. You can pack it up and bring it along with you in any type of adventure. Regardless of what type of traveler you are. Let's take a look at some of the top features and benefits that make the Osprey Daylite Daypack one of the best travel backpacks to bring along with you on your adventures. The overall design of the Osprey Daylite Daypack is one that can not be ignored. 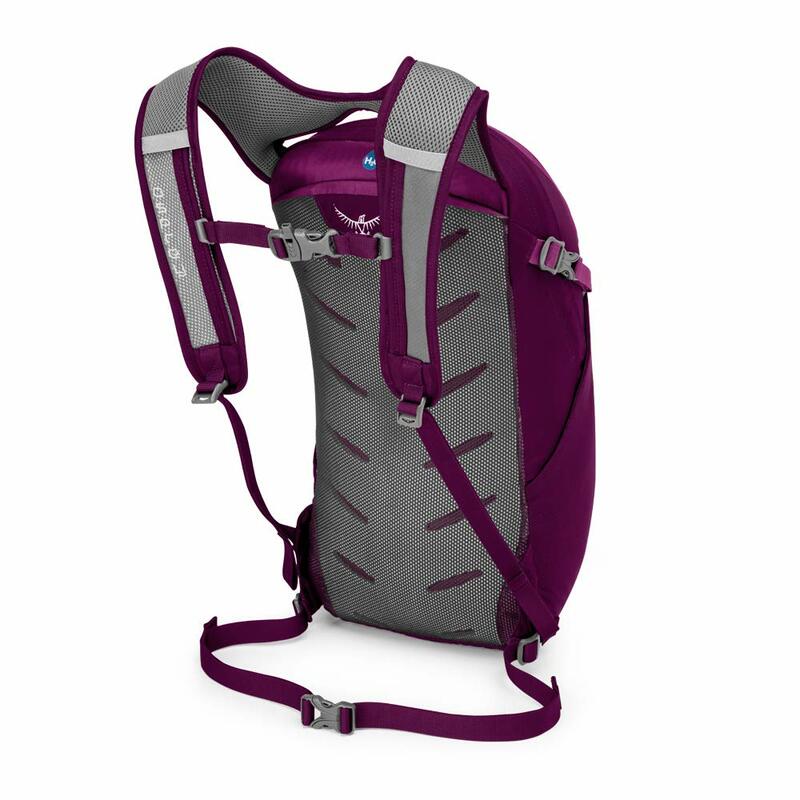 For starters, the Osprey Daylite Daypack comes in a range of colors. This wide range of colors allows travelers to find there perfect daypack that fits their sense of style. Along with the color options, travelers will be impressed with the sleek design. For travelers who are familiar with the Osprey band, they are sure to find that the brand has slowly begun moving away from the bulky style of many travel products. Instead, the brand has used a new approach of a sleek and slim design when they are constructing their products. This theme has bled into the Osprey Daylite Daypack well. Travelers can expect to find a daypack that features smooth edged. This sleek and smooth design is not only for looks either. This design has allowed travelers to be more comfortable when they are trekking around with the Osprey Daylite Daypack. If you are out traveling for an extended period of time, then this pack might be for you. This is because the design of the Osprey Daylite Daypack allows for a very comfortable fit. The Osprey Daylite Daypack is comprised of a durable nylon material. This nylon material allows the Osprey Daylite Daypack to offer an ample amount of durability when you are on the trail. Along with that, this nylon material is one of the main reasons that allows the Osprey Daylite Daypack to be super comfortable when you are wearing it. When you flip to the sides of the Osprey Daylite Daypack, you will find mesh side pockets. These mesh sock pockets make it very easy for you to grab most used items with ease. For example, store away snacks or drinks easily in the side mesh pockets. When you need them, you can easily detach them. When you are done, return them without much hassle. This mesh material can be found in several other places on the backpack as well. If you turn the Osprey Daylite Daypack over, you will find the mesh padding over a foam back panel. It is this design that makes the backpack such a breathable and comfortable fit. The storage that the Osprey Daylite Daypack provides is quite wonderful. There are a couple of main compartments that makes storage easy and accessible. For starters, there is a large main compartment that allows you to store all your larger travel necessities with ease. If you are a digital Nomad, then you can store away your laptop comfortably in the main compartment. This large main compartment can easily be accessed thanks to its durable zip cup closure. In addition to the large main compartment, there is also a front pocket that was specifically designed for smaller items. 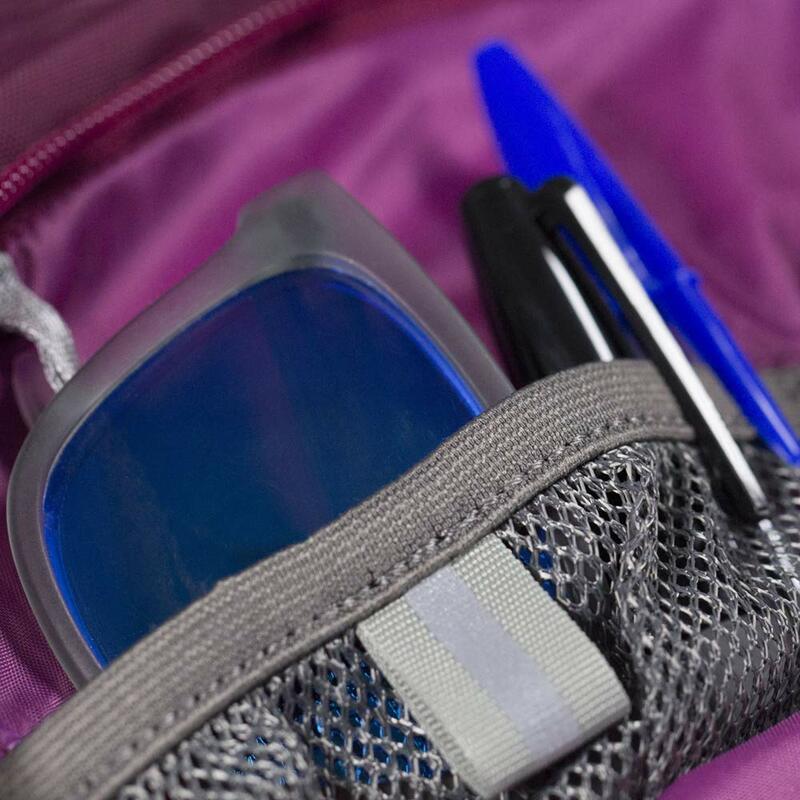 This front pocket features a mesh organizer as well as a key clip. If you are a climber, then this front pocket is a great place to store away any climbing necessities. Lastly, the side mesh pockets are perfect for storing away items that are often used. Items such as snacks and reusable water bottles can fit in there with ease. You can easily and quickly access items stored here without much fuss. Thanks to the detailed construction of the Osprey Daylite Daypack, durability is a real winner when it comes to the overall design of the backpack. In fact, one of the main selling points of the backpack is the fact that you can use it for everyday use. Not only is it light weight, but it is incredibly versatile too. Whether you are strolling around the city, or trekking around high mountains, this backpack is a clear winner. Along with the durability, one of the top features of the Osprey Daylite Daypack is the fact that it is able to be used as an attachment piece. If you are going on an extreme adventure or a laborious hike, then this is one of the best backpacks to consider bringing along. 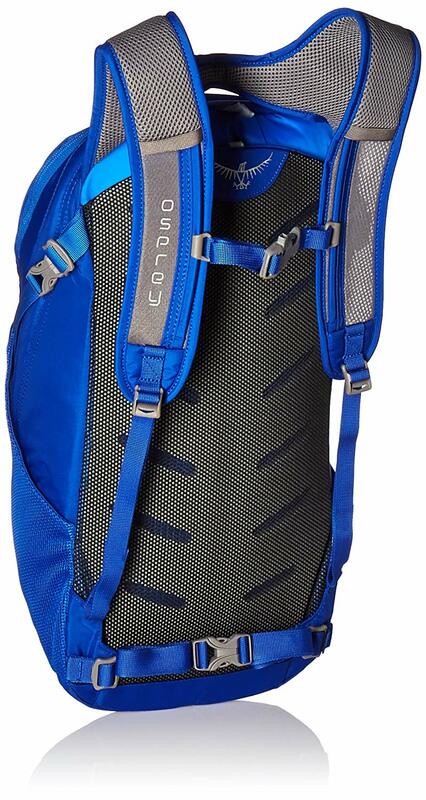 Because it is so light and durable, it can easily attach to other Osprey packs. These packs include the Aether/Ariel Series, Volt/Viva Series, Ace 75, Sojourn Series, Farpoint 80, and the Porter Series. For many hikers, this compatibility with other Osprey packs is what makes this backpack a real winner. Comfort is a real winner when it comes to this backpack. There is a couple of reason for this. For starters, the mesh covered back panel is fitted with a slotted foam. This makes carrying around your travel necessities rather easy. Because of the reinforced back panel, you will not feel your travel belongings digging into your back either. Along with the back panel, the shoulder straps were designed with comfort in mind. Travelers can find spacer mesh shoulder straps with integrated handles. These mesh shoulder straps are somewhat padded or optimum comfort. You will not feel the weight of your travel gear with this backpack on your back. Finally, travelers will appreciate that the straps are adjustable. This will allow you to find the right comfort when you are traveling. Travelers who have purchased the Osprey Daylite Daypack are certainly impressed with it. 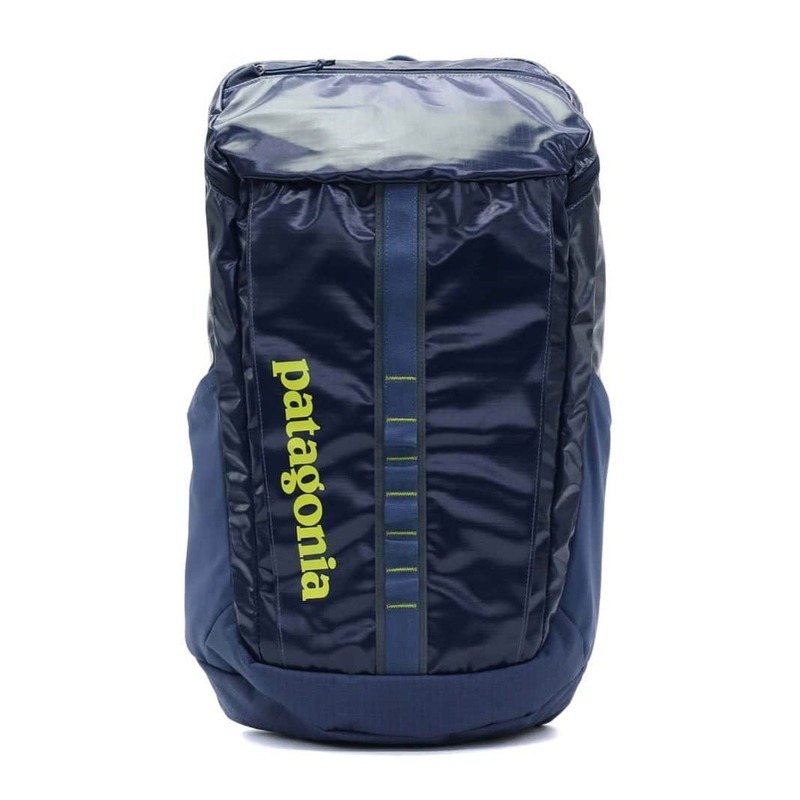 For starters, this is a great daypack from a reputable brand. The brand speaks for itself and travelers are listening. Not only that, but travelers love the different ranges of colors you can get the Osprey Daylite Daypack in. The different shades of colors are perfect for finding the right travel backpack to meet your sense of style. along with that, travelers certainly enjoy the overall look of the Osprey Daylite Daypack. This sleek and slender design allows you to stay away from the overly rugged look. Instead, you get a more modern appealing look in your travel gear. Lastly, travelers absolutely love the versatility that the Osprey Daylite Daypack provides. For example, you can take this backpack along with you if you are going on a moderate adventure around town or through the woods. Not only that but if you are looking for an additional way to bring along your travel gear, then the Osprey Daylite Daypack is a great choice to go with. It acts as an awesome additional compartment. This is because it can easily be attached to a wide range of Osprey packs. If you are a traveler who frequently goes on long duration adventures, then this is a feature is something you can take advantage of. 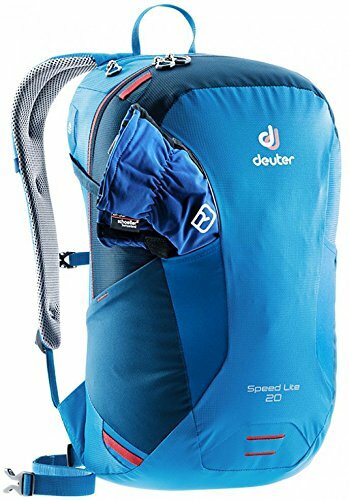 Another one of the best daypacks to consider on your travels is the Deuter Speed Lite. The Deuter Speed Lite happens to be one of the best daypacks on the market right now. If you ask any traveler who currently owns one, they will vouch for it with ease. There are so many reasons that make this daypack a winner. For starters, the Deuter Speed Lite comes from a reputable brand. Much like Osprey, Deuter is known for their attention to detail. This is especially true when it comes to crafting some of the best outdoor products around. Along with that, the Deuter Speed Lite is great for a range of outdoor activities. Whether you are climbing, hiking, or strolling around the city, the Deuter Speed Lite is a great backpack to bring along with you. One of the standout features of Deuter Speed Lite is the fact that it is absolutely perfect when it comes to ventilation. If you are outside in the heat, the Deuter Speed Lite offers pristine ventilation. This will allow you to not feel overly weighed down by your daypack. Additionally, this ventilation comes in handy when you are going on a long hike. Especially if you are out hiking during the warmer months. While there are not many downsides to the Deuter Speed Lite, travelers should consider the amount of padding that is on this daypack. Many travelers prefer optimal comfort and padding when it comes to the straps. However, the Deuter Speed Lite does not offer much padding. In fact, some might even say that the downside to this daypack is the lack of padding, specifically on the hip belt. However, because this is a 20 L capacity daypack, the lack of excess padding may be understandable. If you are going out for half a day hiking adventures, this would be the best day pack to bring along with you. This next daypack is one of the best travel bags to bring along with you if style is your number one priority. The Fjallraven High Coast Trail 26 has so much to offer. From its durability to its comfort, travelers will tell you that this is one of the best bags to pack all your belongings in. This underrated bag is a popular bag with travelers all across the Nordic regions. The construction of this bag has made it unsurprisingly so. For starters, the design of this bag is one of the main reasons this daypack stands out. 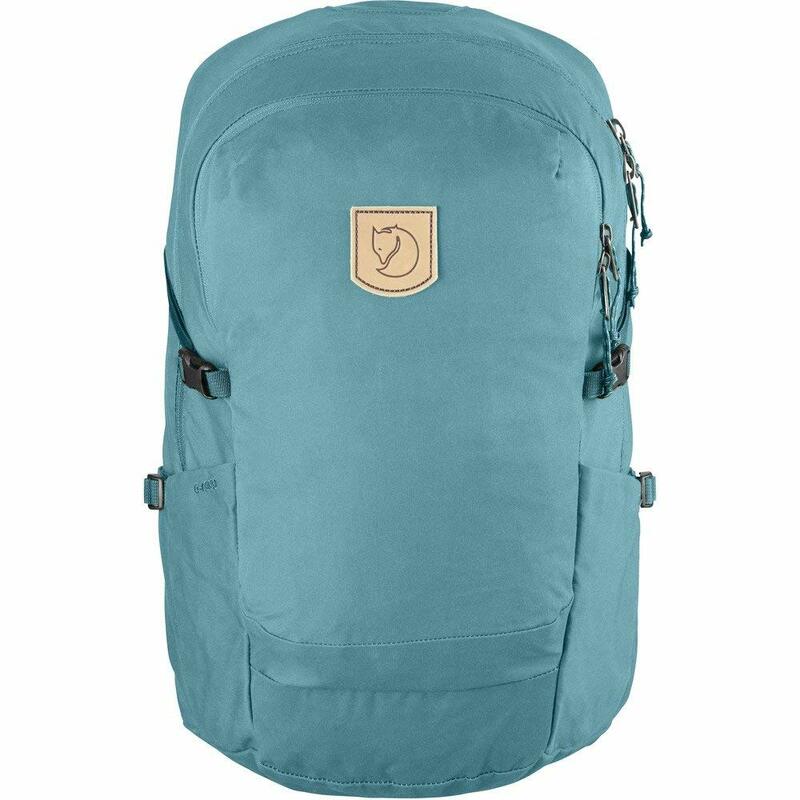 Unlike many travel bags, the Fjallraven High Coast Trail 26 comes in a range of colors. The pastel and bright shades that this bag comes in make it ideal if you are looking to travel with a little pop of color. It is not just the color that makes the Fjallraven High Coast Trail 26 stand out. The durability of this bag is unmatched. For example, the material used is a mixture of 65% polyester and 35% organic cotton. Not only will this bag withstand your travels, but the material makes it super comfortable to bring along with you too. Along with the material, we appreciate that the Fjallraven High Coast Trail 26 comes equipped with no extra bells and whistles. Instead, travelers will be greeted with a main compartment that is spacious yet practical. The padded main compartment can easily fit a 15 inch laptop securely. Along with the main compartment, there is a smaller zipper pocket that allows you to store other travel necessities. Store away extra clothes or other travel gear easily in the smaller compartment. Lastly, in addition to the main compartments, the side pockets offer you the ability for easy to reach storage. You can pack away anything you might need and then grab it easily while you are on the trail. If you are all about the rugged outdoors, then this next daypack is perhaps one of the best daypacks on the market to choose from. Our next pick of one of the best daypacks is the durable Patagonia Black Hole 25 L Daypack. This daypack is a winner for so many reasons. For starters, the rugged outdoors are no challenge for this daypack. It is in fact one of the most durable daypacks on the market right now. The materials used for the Patagonia Black Hole 25 L Daypack are simply the best. Travelers can expect to find a light and strong ripstop material with a highly weather proof TPU laminate. Finally, this material is capped with a durable water-repellent finish. This means that you can take your daypack along with you in any environment and you are sure to be met with protection. When it comes to the main compartment of the Patagonia Black Hole 25 L Daypack, one of the driving forces behind the design has been simplicity. Travelers can expect to find a main compartment with padded sleeves. These padded sleeves will easily hold everything from your jacket to your snacks to additional fluids. Speaking of fluids, travelers will enjoy the fact that the stretch woven pockets hold a wide range of water bottle shapes and sizes. When it comes to the Patagonia Black Hole 25 L Daypack, less is certainly more. This is a terrific daypack that is perfect for taking along with you on your adventures. This is especially a great daypack if you are looking for something that will get the job done in any rough environment. Without a doubt, the Patagonia Black Hole 25 L Daypack is easily one of the best daypacks on the market right now. You do not have to go far to find one of the best daypacks on the market right now. When it comes to a high quality product that meets all the needs and more for any traveler, the Osprey Daylite Daypack checks all the boxes. Join the thousands of outdoor lovers who have made this day pack their primary travel bag. 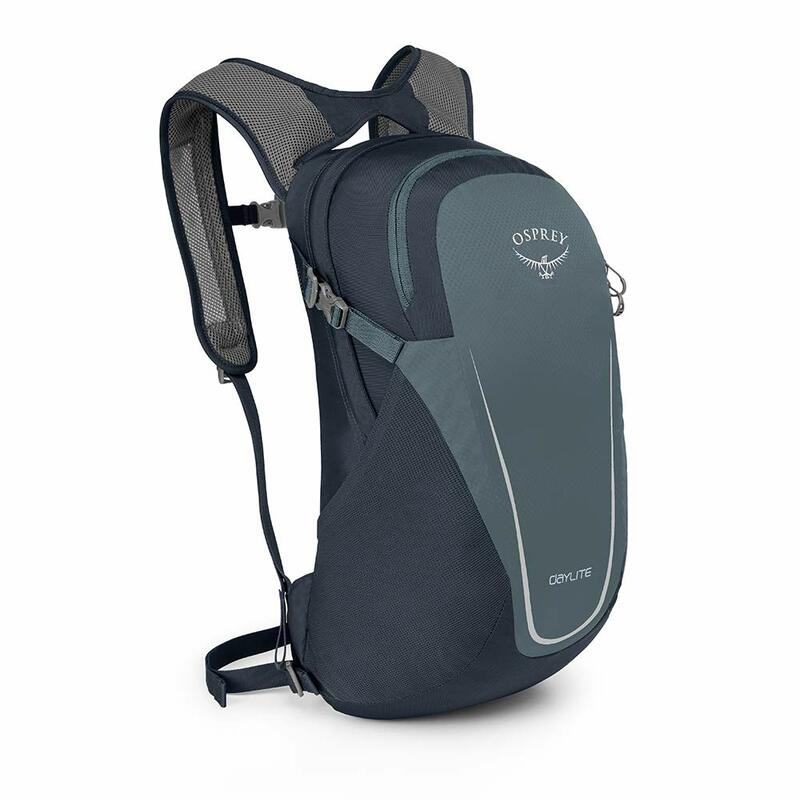 To get your hands on your own Osprey Daylite Daypack, click below. The Osprey Daylite Daypack is a fan favorite of so many travelers. There are so many reasons the Osprey Daylite Daypack is one of the best bags on the market. From its design to its durability and everything in between, this bag has so much going for it.